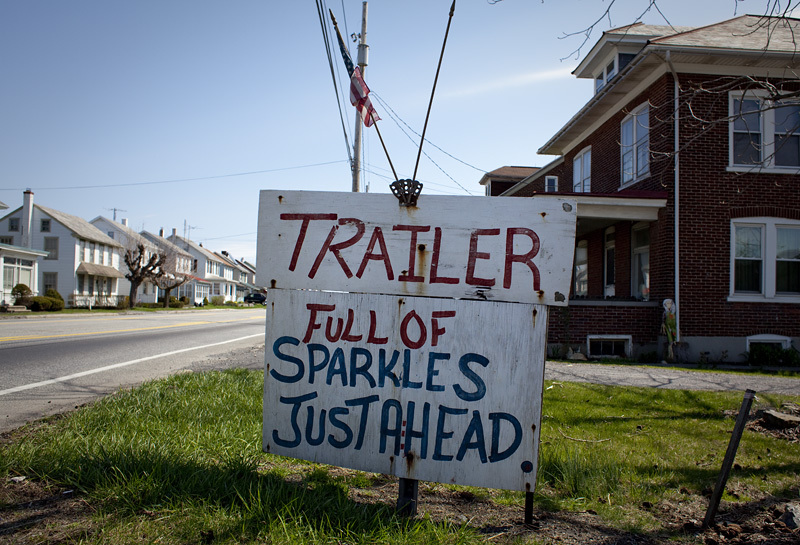 I really hoped it was going to be an actual trailer covered in sparkles. Big smile. But alas, just another trailer on the side of the road full of sparklers and other fun explosives to light up the nights to come.